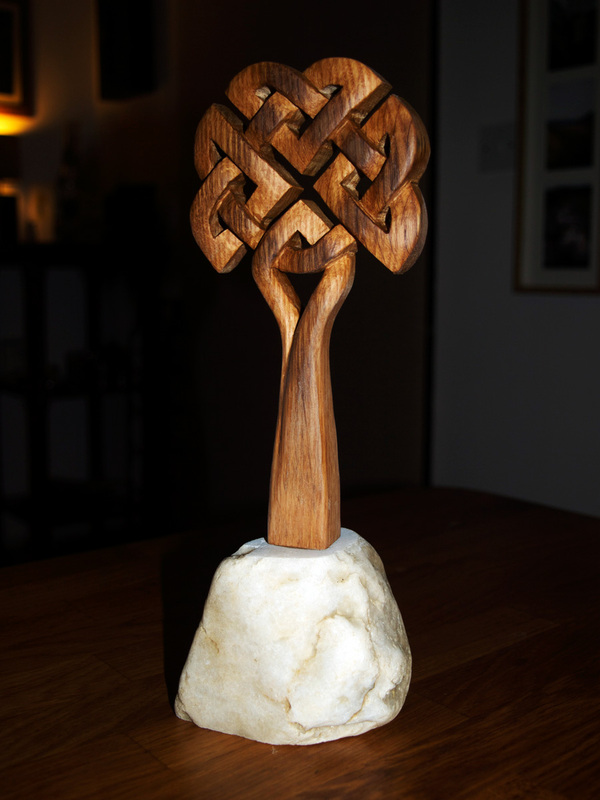 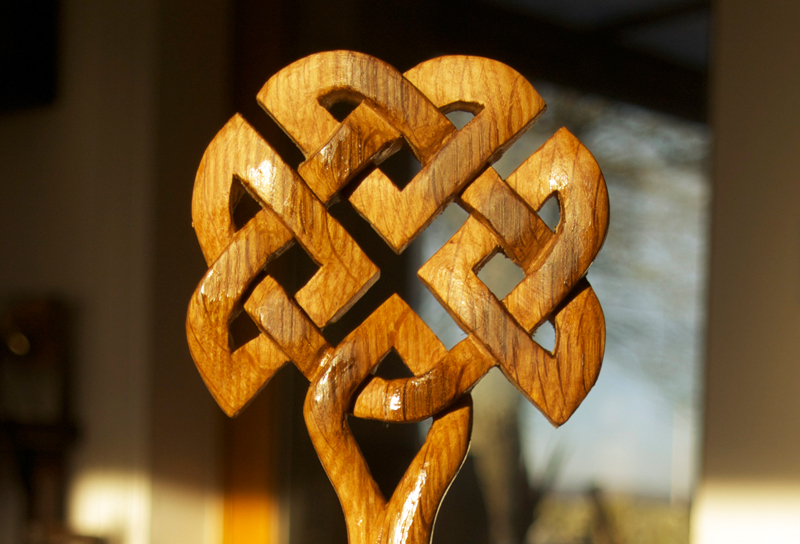 posted by stu, 2nd January 2012, Categories: Celtic., Gifts, Indoors., Recent projects., Wood. 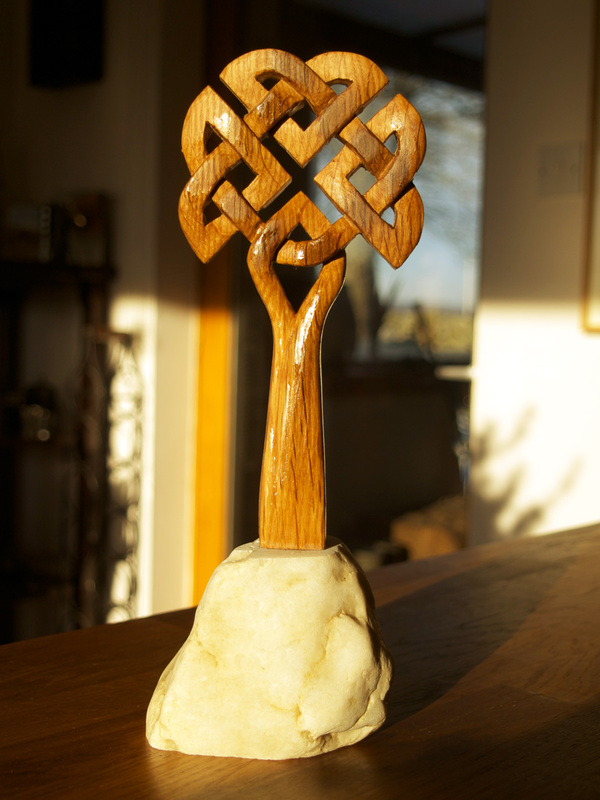 A hand-carved Celtic knotwork tree design carved from an old, oak whisky barrel stave and mounted on a shaped local stone. 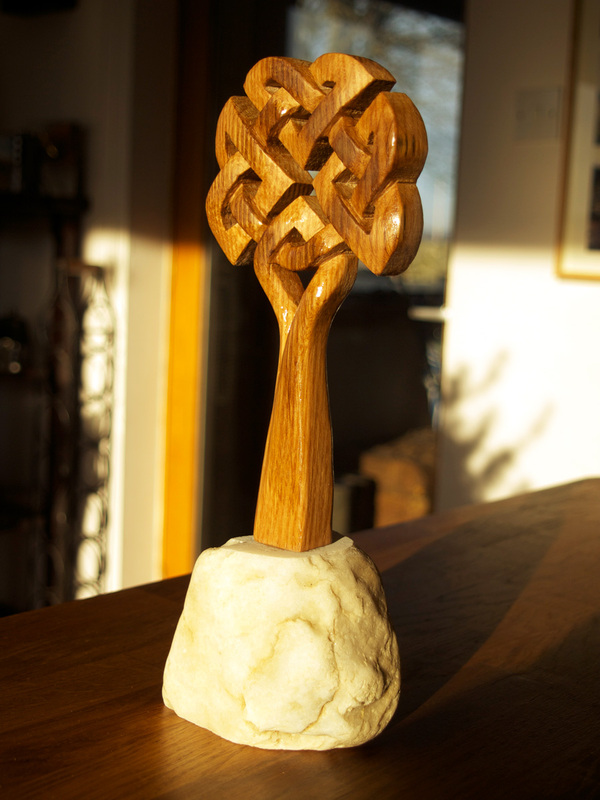 Approx 25cm tall.